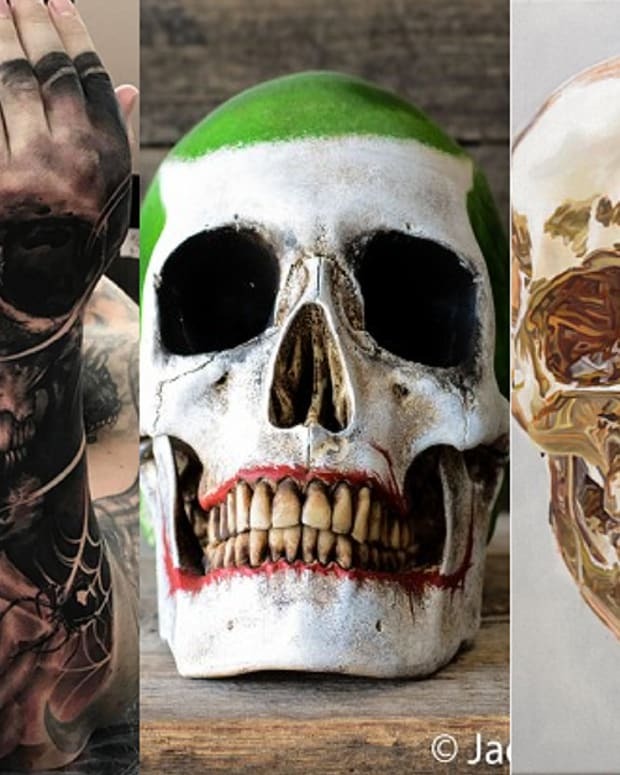 The human body has always been an inspiration for artists — even after the body has decayed and there is nothing but a skeleton left. 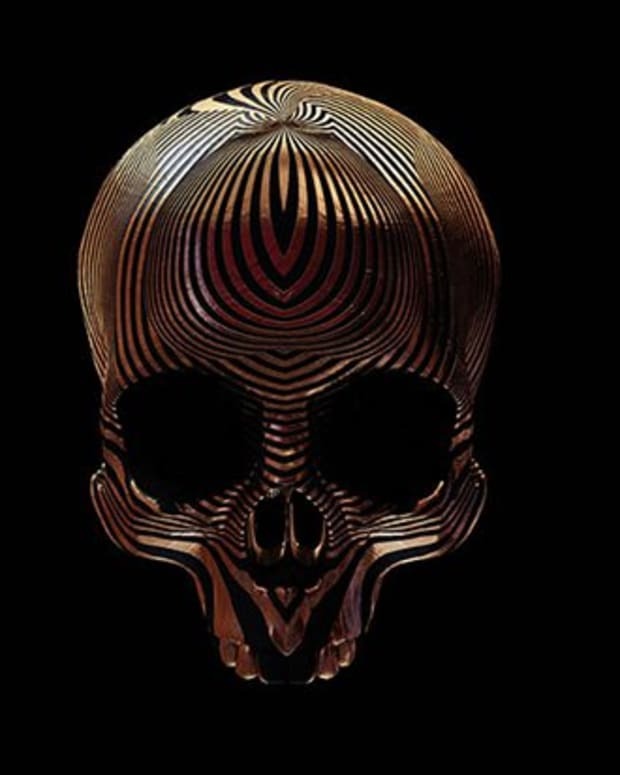 Skulls were the inspiration, and in some cases the medium, for this gallery of art that we have collected. 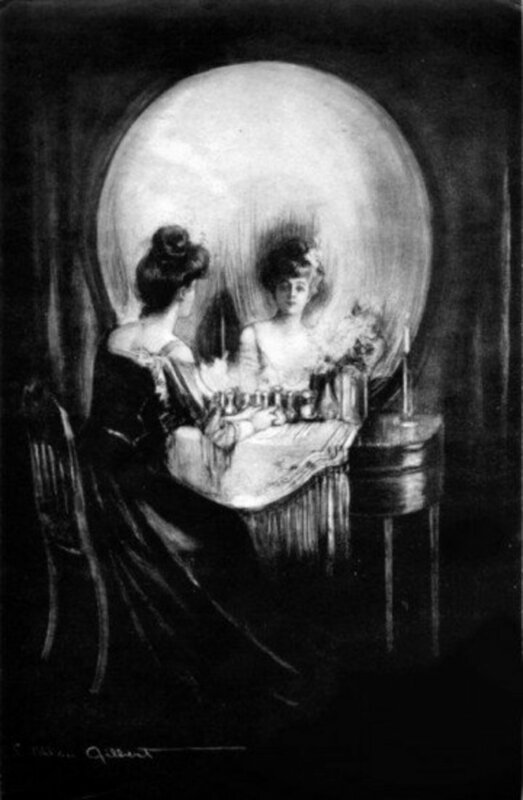 All is Vanity by Charles Allan Gilbert. 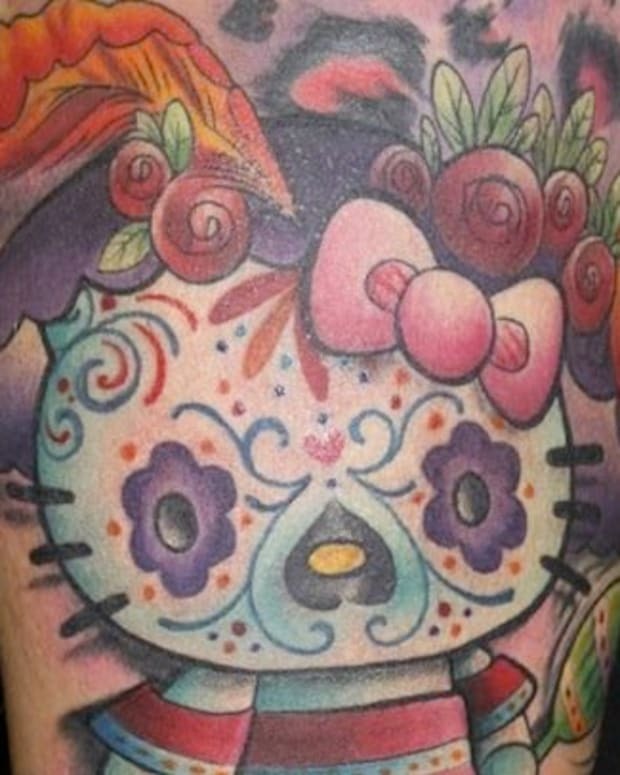 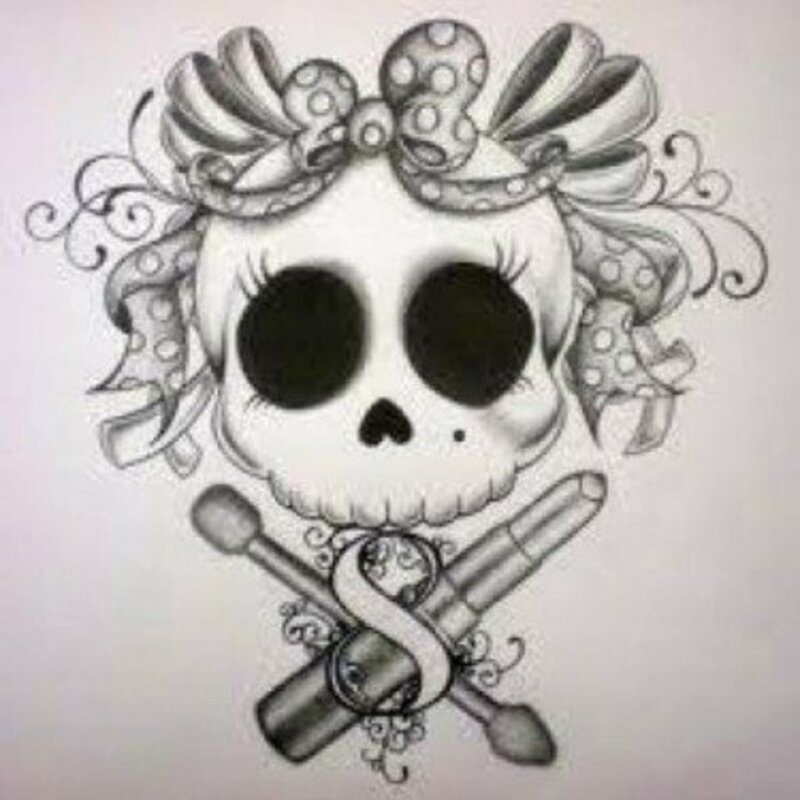 Thanks to a bow and eyelashes this skull drawing actually looks cute. 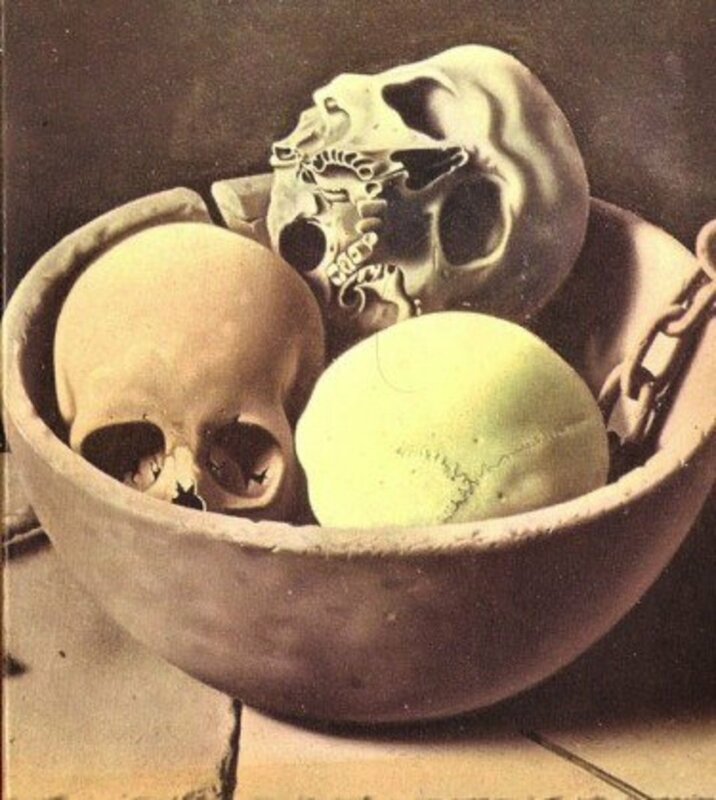 A morbid take on the standard still life. 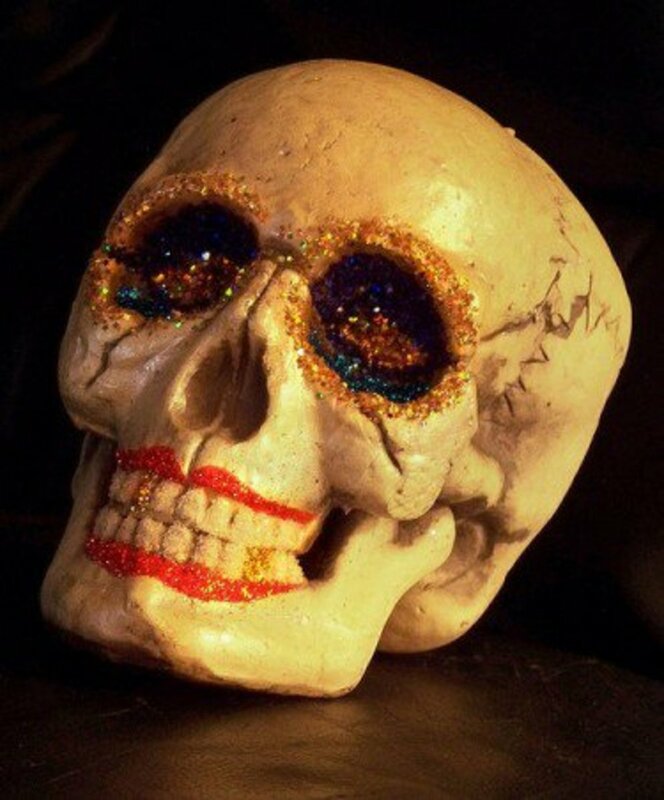 A dead man doesn&apos;t necessarily have to give up it&apos;s bling. 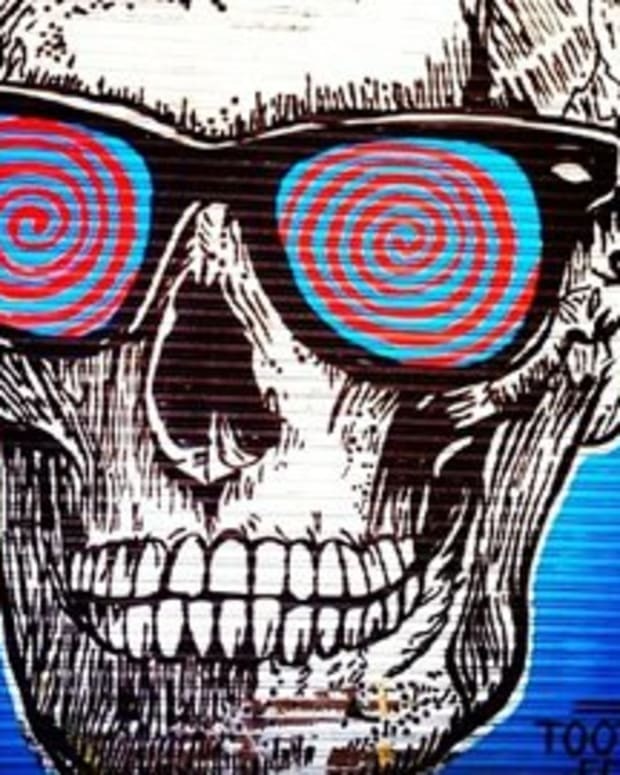 This Lace Front Skull Cardigan by Too Fast manages to make pink look tough. 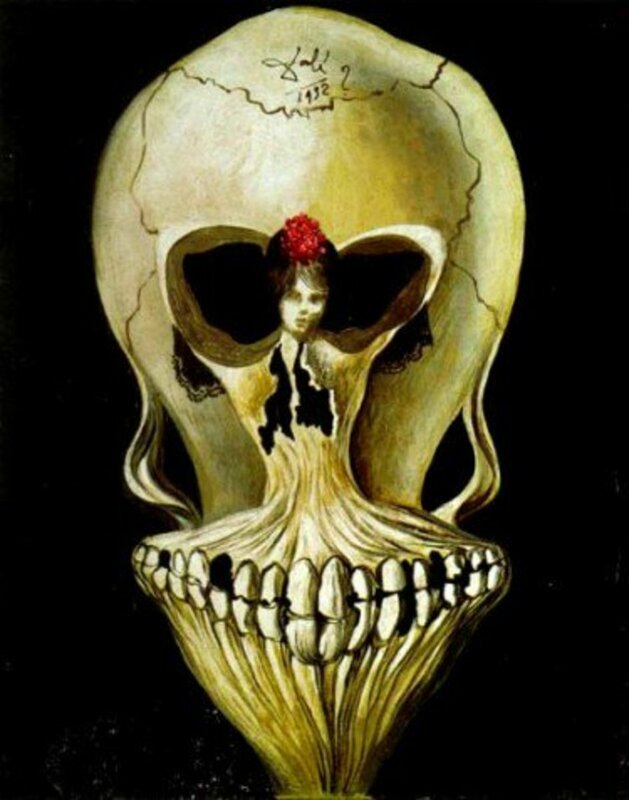 Ballerina in a Death&apos;s Head by Salvador Dali. 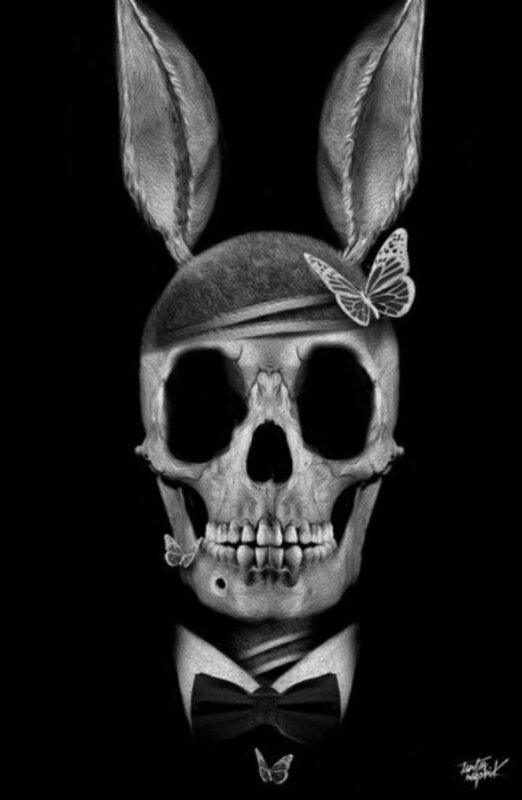 We imagine this is what Roger Rabbit would look like after death. 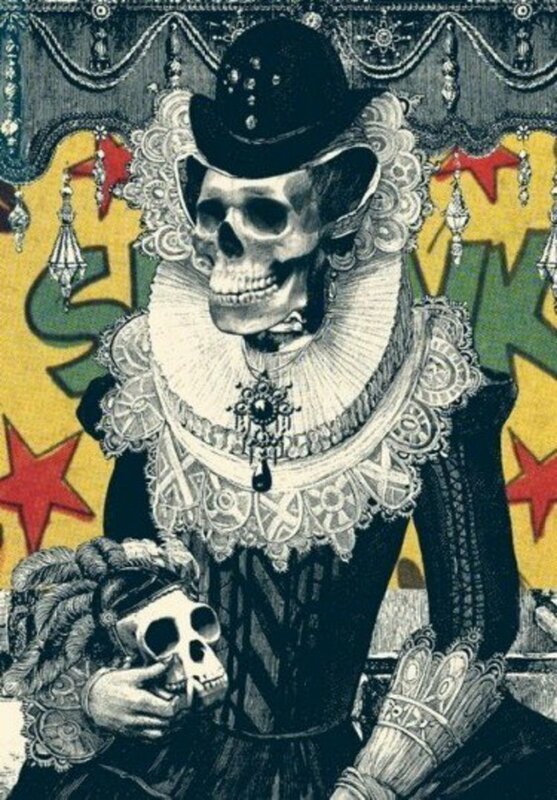 Cool Victorian inspired skull art. 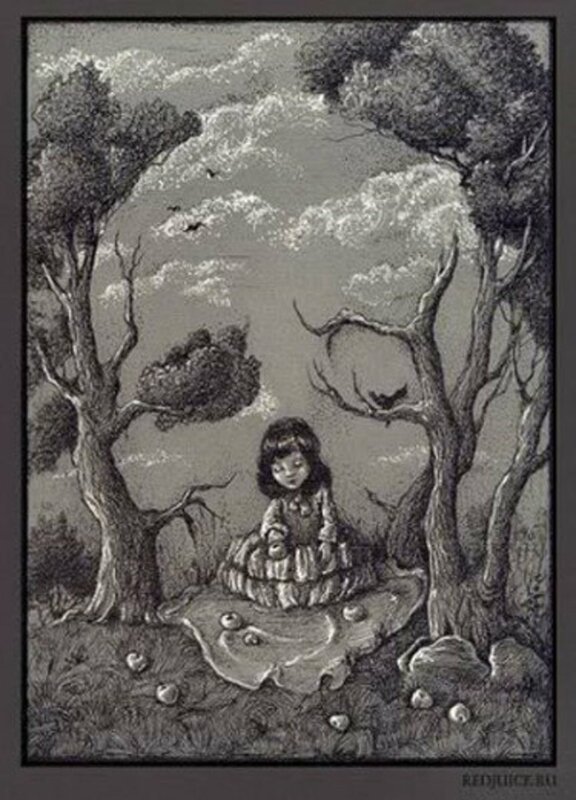 Optical illusion with a little girl frolicking. 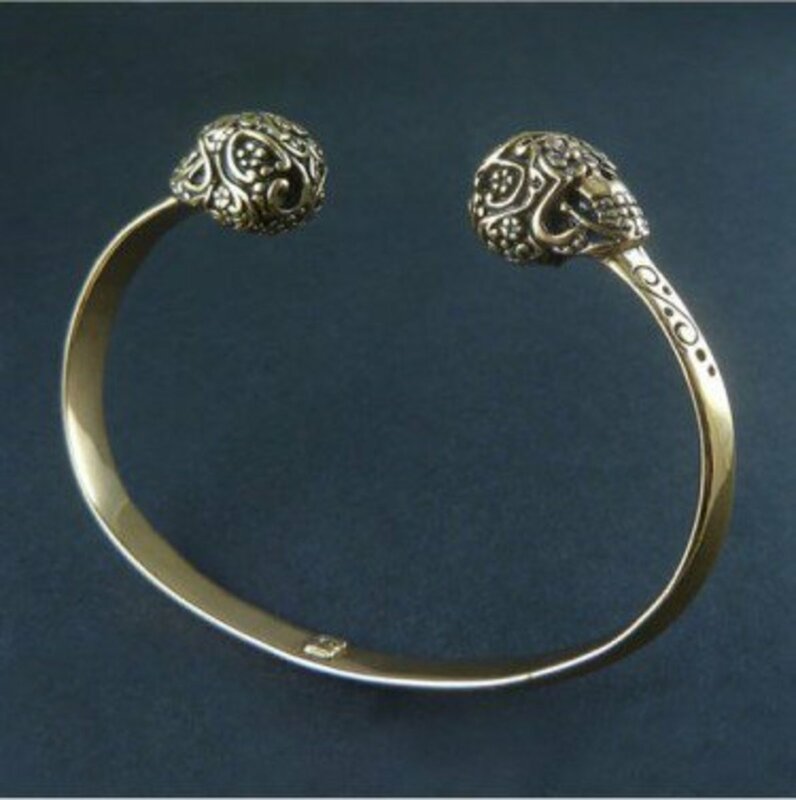 Every skull lover will adore this Day of the Dead Bronze Sugar Skull Cuff by Lost Apostle. 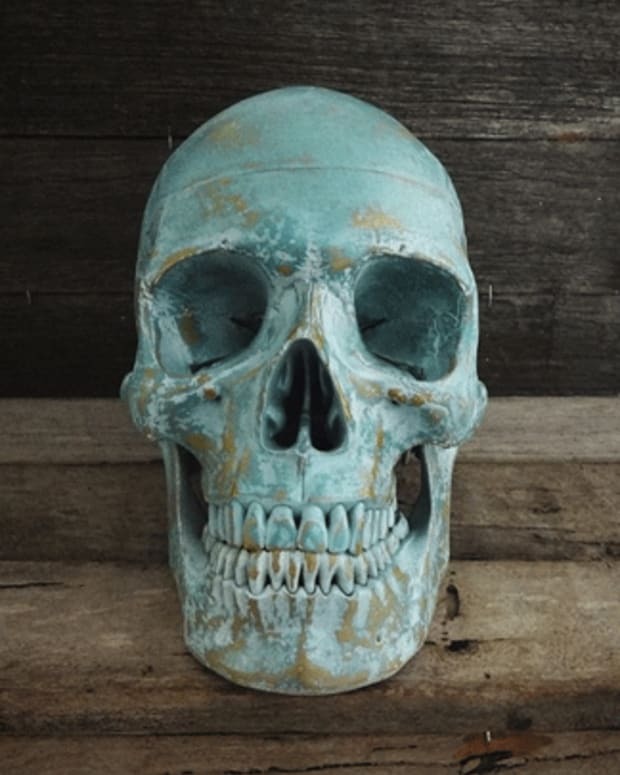 Available at INKEDSHOP.COM: Day of the Dead Bronze Sugar Skull Cuff by Lost Apostle. 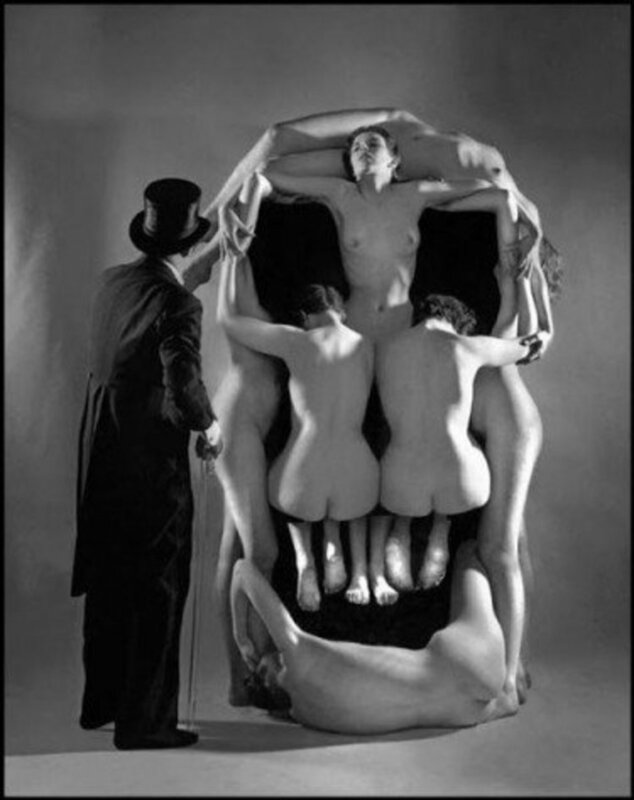 Behind the scenes photo of Salvador Dali&apos;s In Volupas Mors. 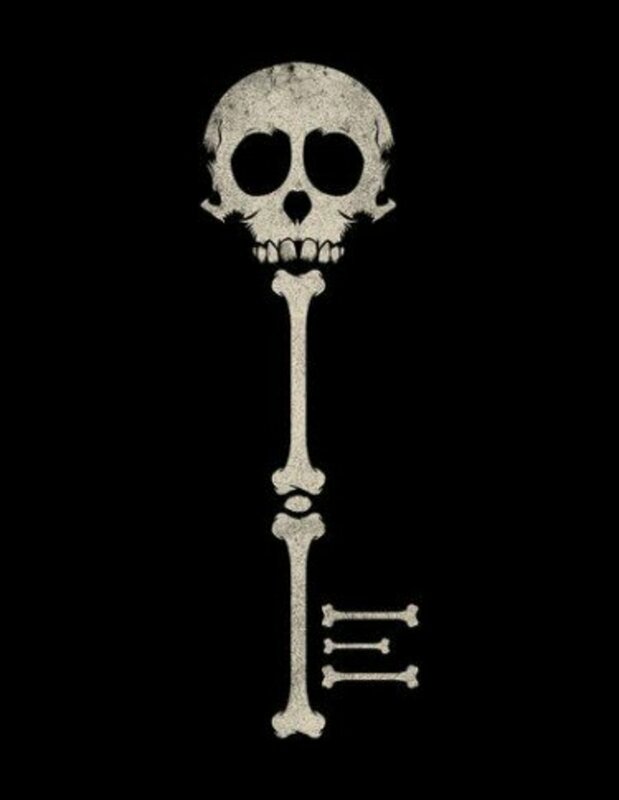 Now that&apos;s a skeleton key. 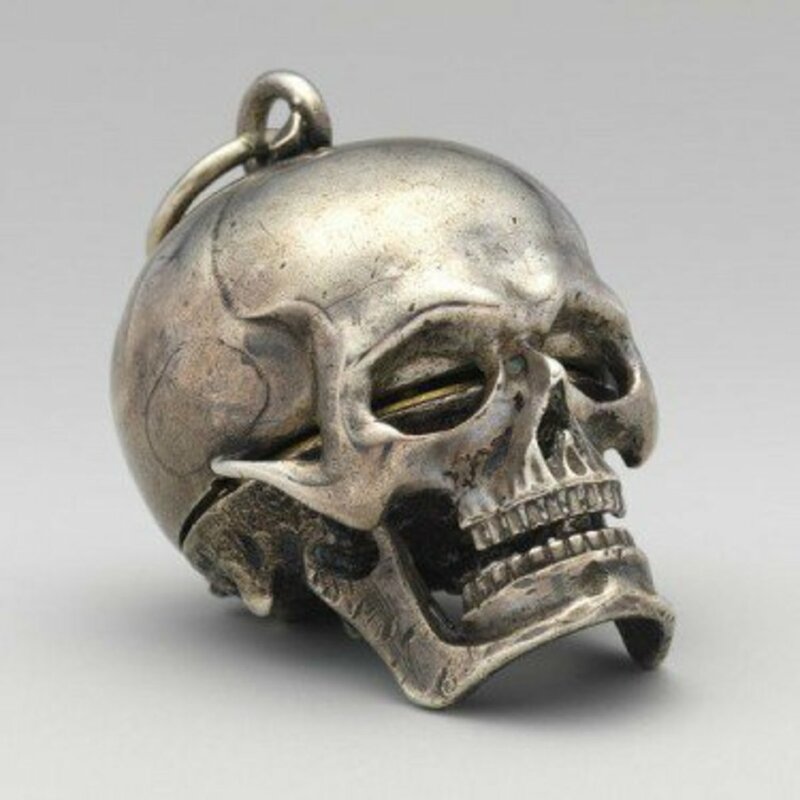 Skull watch by Isaac Penard. 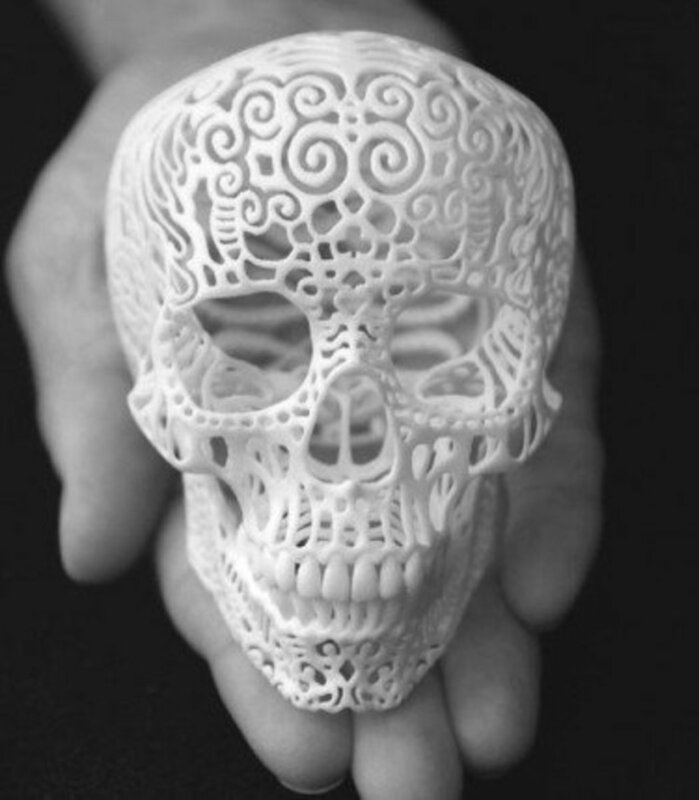 A very delicate looking skull sculpture. 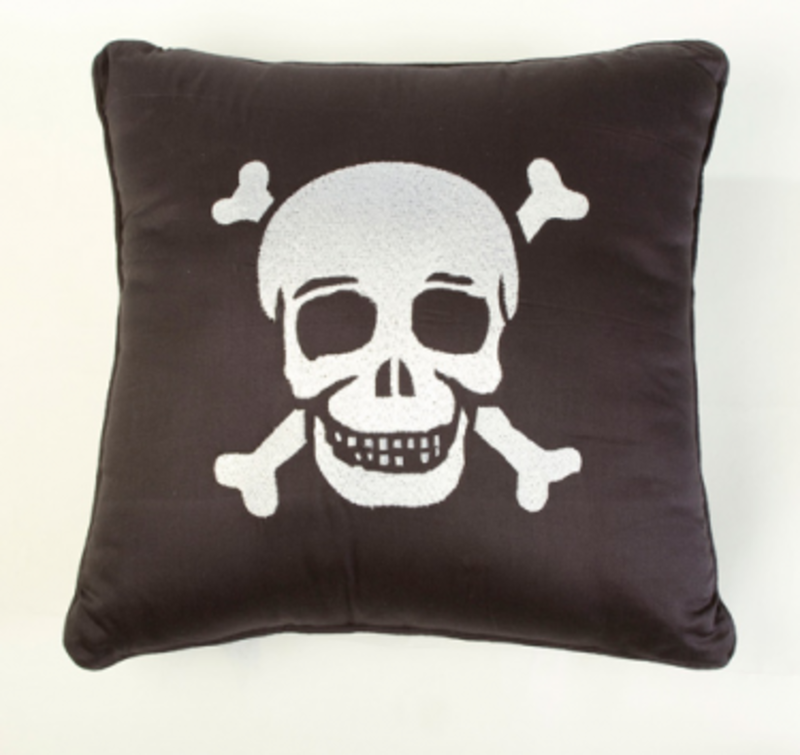 Even the saltiest seadog would love this Skull and Crossbones Embroidered Throw Pillow by Sin in Linen. 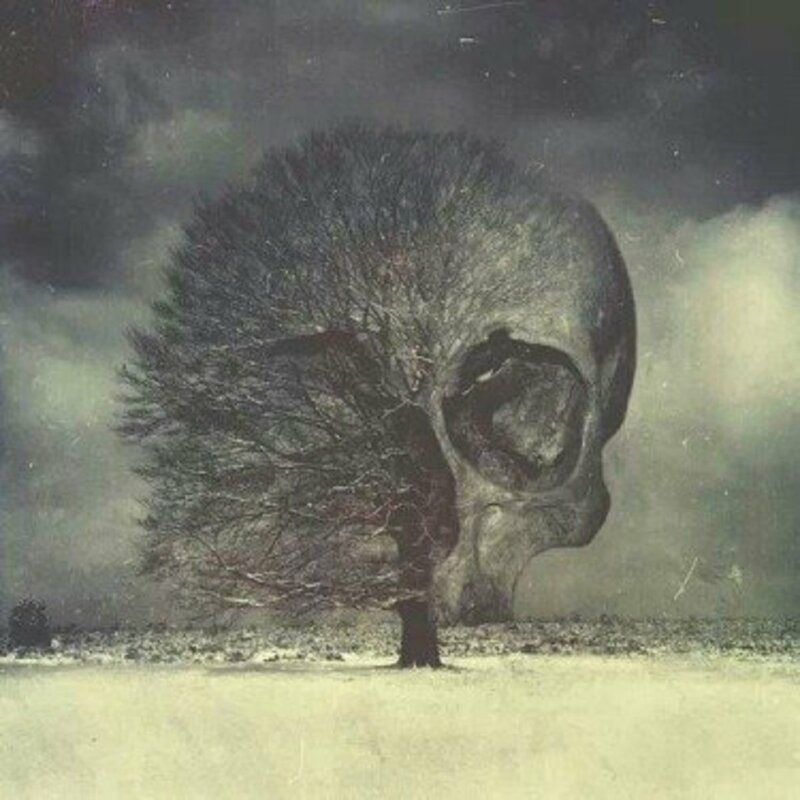 That&apos;s one evil looking tree. 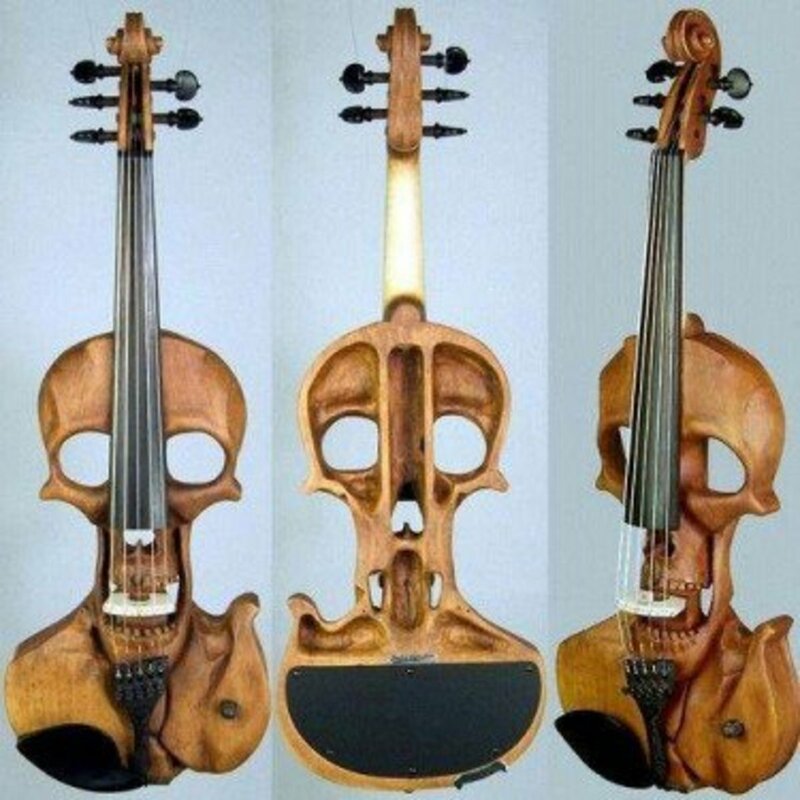 Who would have thought that a violin could look so metal? 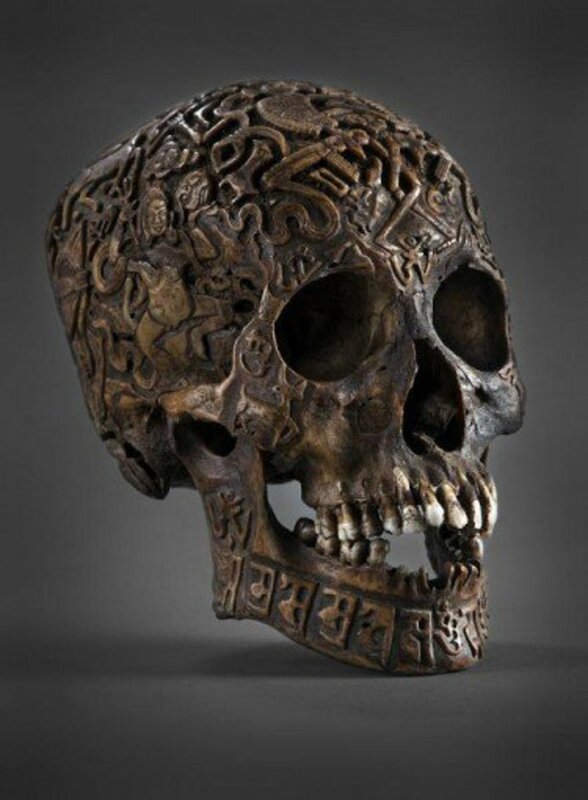 An amazing Tibetan carved skull. 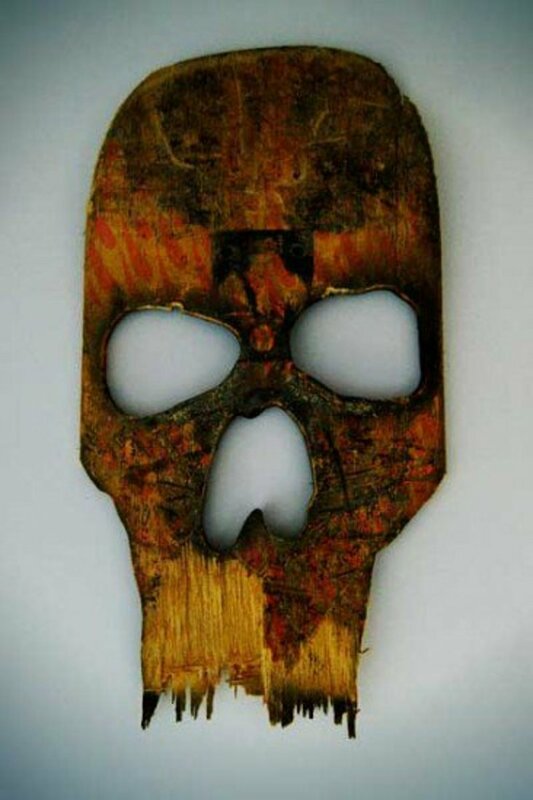 Skull made out of a broken skateboard deck by Beto Janz. 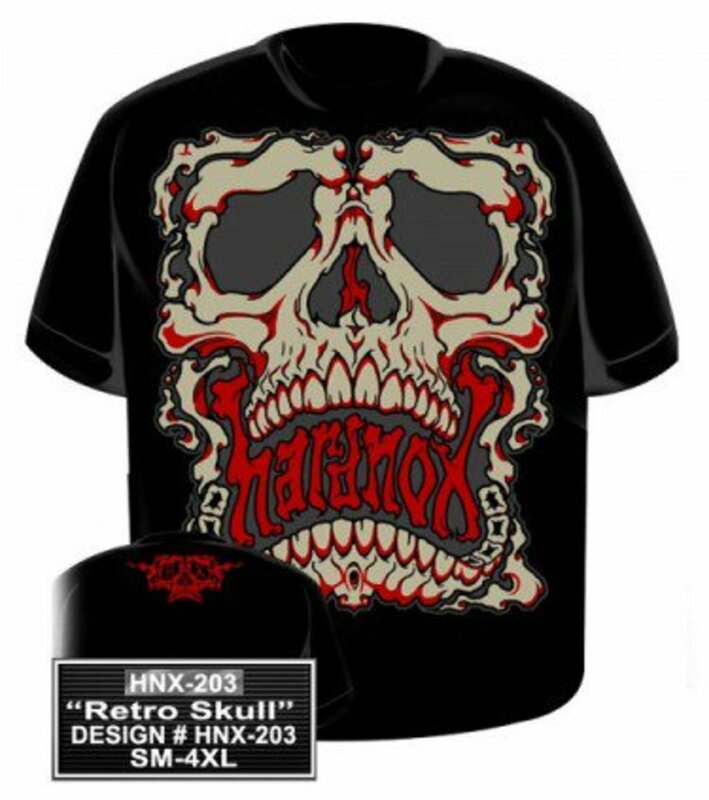 This Men&apos;s Retro Skull Tee by Hardnox Clothing has some badass skull art. 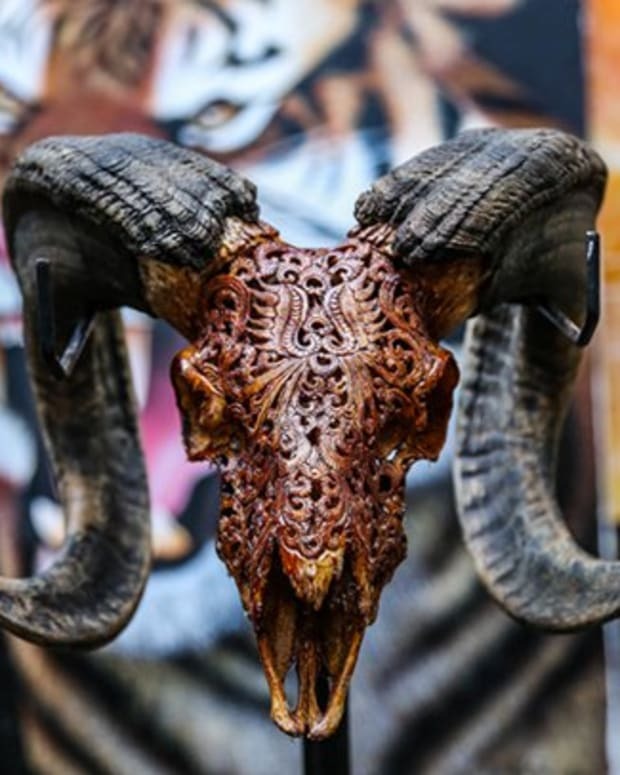 SKULL ART! 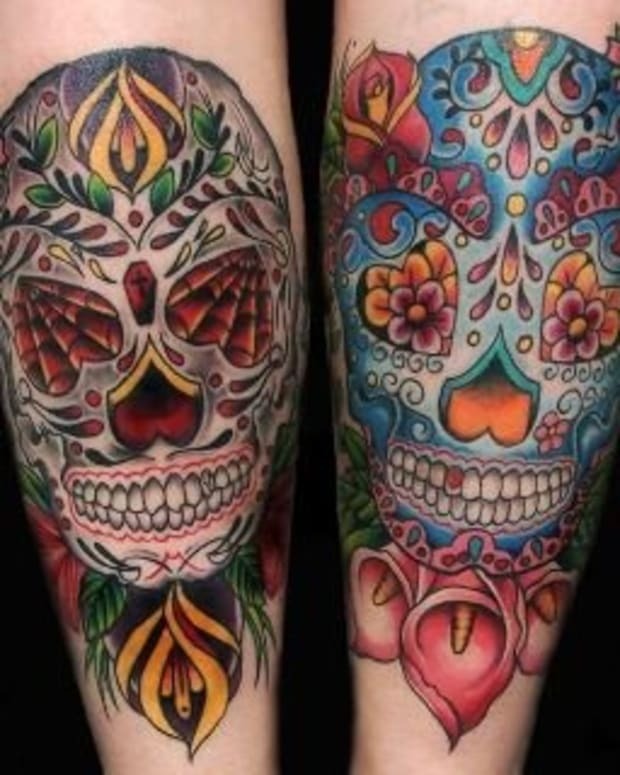 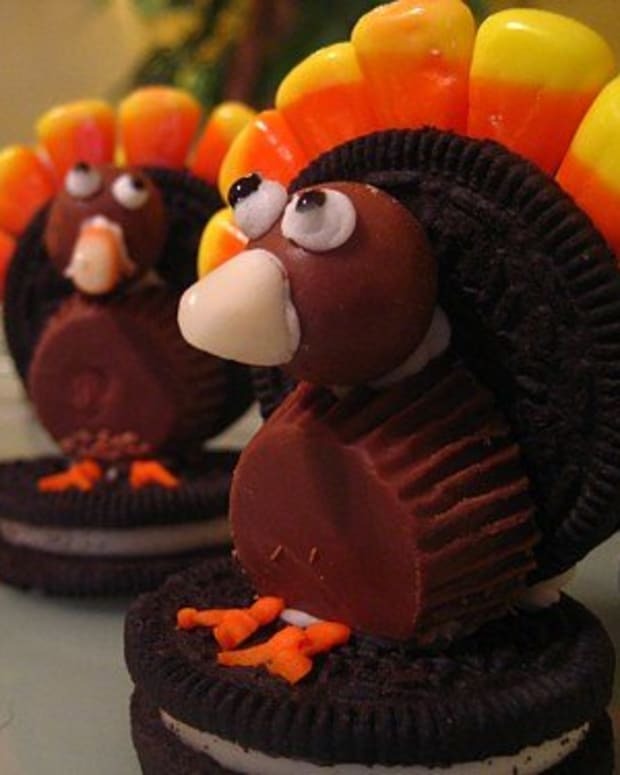 20 AMAZING PIECES!